Right now is a great time to quit smoking. Why? In as few as 20 minutes, you’ll start to feel the benefits. Here we break down the changes that occur in your body within minutes, hours, days, and even years of you kicking the habit. The health benefits of quitting today may surprise you. After two hours without a cigarette, your heart rate and blood pressure will be close to normal levels again. Your blood circulation will also start to improve. The tips of your fingers and toes may start to feel warm. Carbon monoxide, which can be toxic to the body at high levels, is released from burning tobacco and inhaled as part of cigarette smoke. Carbon monoxide bonds very well to blood cells, so high levels of the gas can prevent the cells from bonding with oxygen. The lack of oxygen in the blood often causes serious heart conditions and other health problems. In as few as 12 hours after quitting smoking, the carbon monoxide in your body decreases to lower levels. In turn, the amount of oxygen in your blood increases to normal levels. he risk of coronary artery disease (CAD) for smokers is 70 percent higher than for nonsmokers. It is the most common form of heart disease and the leading cause of death in the United States, according to the National Heart, Lung, and Blood Institute. However, just one full day after quitting smoking, your risk for CAD will already begin to reduce. Your risk of having a heart attack also starts to decline. While you’re not quite out of the woods yet, you’re on your way! This is when quitting smoking can become especially difficult. If you’re able to make it to this point, reward yourself so you feel motivated to continue. Use the money you would have spent on cigarettes to buy something nice for yourself. Within three weeks, you’ll be able to exercise and perform physical activities without feeling winded. Stopping smoking for a couple of weeks gives your body time to regenerate and heal. Your blood circulation and heart function will improve significantly during this time. Your lungs may also begin to clear, allowing you to breathe more easily. For most smokers, withdrawal symptoms start to subside about two weeks after quitting. After one month without cigarettes, the cilia inside your lungs will begin to repair. The cilia are the tiny, hair-like structures that push mucus out of the lungs. Once the cilia are able to do their job efficiently, they can fight off infection and clear the lungs more easily. With properly functioning lungs, your coughing and shortness of breath will continue to decrease dramatically. Your withdrawal symptoms will also go away completely within nine months after quitting. The length of time it takes varies depending on how long and how often you smoked before quitting he one-year mark is a big one. After a year without smoking, your risk for heart disease drops to half that of a smoker’s. This means that someone who smokes is more than twice as likely as you are to develop any type of heart disease. Of these cancers, lung cancer is the most common form of cancer that affects smokers. Smoking is a main cause of lung cancer and accounts for 90 percent of lung cancer deaths worldwide. It may take 10 years, but if you quit, eventually your risk of dying from lung cancer will drop to half that of a smoker’s. Ten years after quitting, your risk of getting other types of cancer also decreases. We decided to try and face up to what alcohol had done to us. Here are some of the questions we tried to answer honestly. If we answered YES to four or more questions, we were in deep trouble with our drinking. See how you do. Remember, there is no disgrace in facing up to the fact that you have a problem. From www. aa.org. When we are working and participating in it is important to know what AAWS and GSO identify as areas we should stay away from in our discussions. Provide domestic or vocational counselling. Alcoholics more than others, hold on to old hurts and never seem to be able to let go. It’s almost like a tape that is constantly replayed over and over. Some clam up and internalize their anger, while others blow up and explode. Resentment always hurts you more than it does the person you resent. 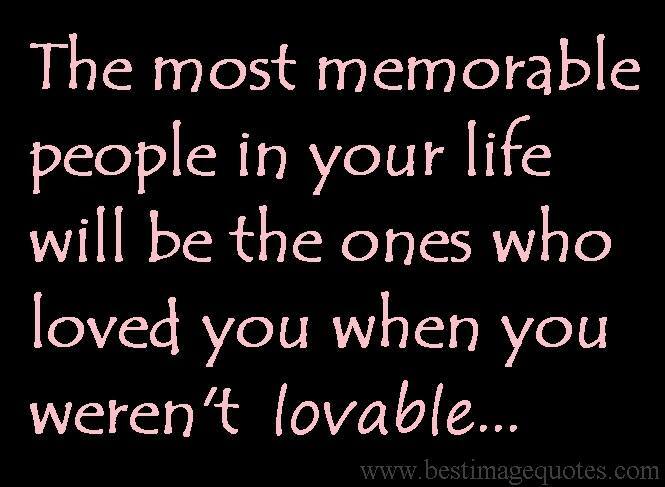 That person has most likely forgotten about you and gone on with their life, as you continue to stew in your pain. Page 64 of the Big Book states: “.Resentment is the “number one” offender. It destroys more alcoholics than anything else”. I have heard many in the Rooms of A.A. state, “resentment is like drinking poison and waiting for the other person to die”.Why give the person that hurt you so much power, that you would drink yourself to death over them. Or is it a good way of telling ourselves it’s ok not to seek help for my addiction, because I have been hurt? Really? “The person who seeks revenge should dig two graves” Chinese proverb. And acceptance is the answer to all my problems today. When I am disturbed, it is because I find some person, place, thing or situation — some fact of my life — unacceptable to me, and I can find no serenity until I accept that person, place, thing or situation as being exactly the way it is supposed to be at this moment. That change in attitude has been the key to happiness for me. I know I am not the only who has found that serenity. Abstinence from alcohol, thiamine, and time can help lead to some improvements of Korsakoff’s psychosis. Total recovery is extremely unlikely. (Alcohol is toxic to the brain. It kills brain cells resulting in brain damage. In the end stage of alcoholism, alcoholic dementia is relatively common. Sergei Korsakoff, a Russian psychiatrist, described the disturbance of memory in the course of long-term alcoholism in a series of articles from 1887-1891. He termed this syndrome psychosis polyneuritica, believing that these typical memory deficits, in conjunction with polyneuropathy, represented different facets of the same disease. In 1897, Murawieff first postulated that a single etiology was responsible for both syndromes. A deficiency of thiamine (vitamin B-1) is responsible for the symptom complex manifested in Wernicke-Korsakoff syndrome, and any condition resulting in a poor nutritional state places patients at risk. The structural lesions associated with Wernicke-Korsakoff syndrome are more likely to manifest in patients with malnutrition. However, it is crucial to recognize that Wernicke-Korsakoff syndrome also appears in patients without exposure to alcohol. The occurrence of WKS in patients without alcohol use disorders is well described in the literature and cited in the section below. Chronic alcoholism – There may be a synergistically destructive effect of alcohol and thiamine deficiency that contributes to the Wernicke-Korsakoff syndrome. Alcohol interferes with active gastrointestinal transport, and chronic liver disease leads to decreased activation of thiamine pyrophosphate from thiamine, as well as decreased capacity of the liver to store thiamine.